Hikari has a new painting on view at Modern Eden Gallery in San Francisco this weekend, as part of their Animation Reimagined exhibition, curated by Michael Cuffe of Warholian. 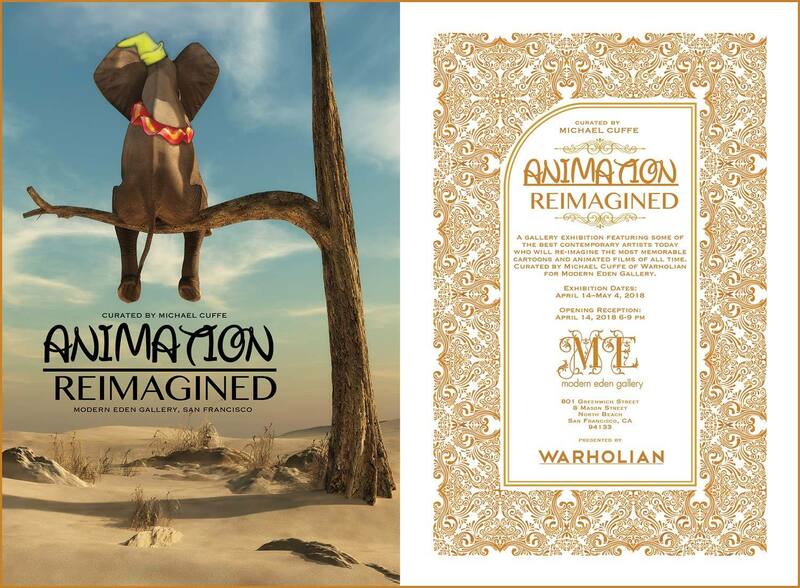 This exhibition will feature the best established and emerging contemporary art talent who will re-imagine the most memorable cartoons and animated films of all time. Hikari has re-imagined the iconic Japanese anime Sailor Moon, whose heroic magical girl protagonists provide the inspiration of her own characters. To inquire about Hikari's painting, please email the gallery at [email protected]. 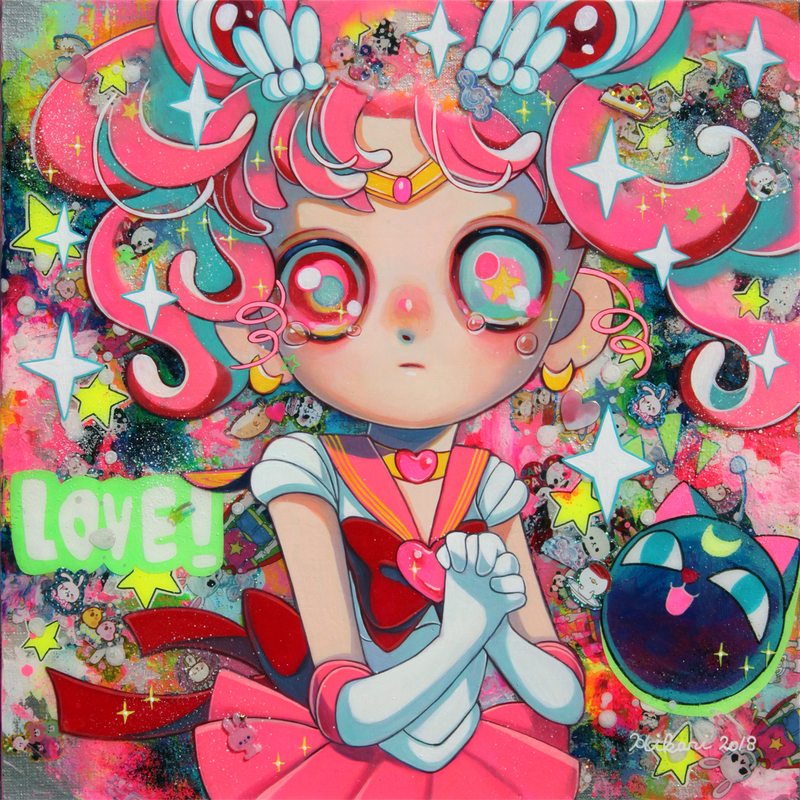 About her piece, Hikari shares: "I chose Sailor Moon which is the source of inspiration for my work. The Sailor scouts are representatives of strong girls who protect the world." Participating artsits include: Adam Hunter Caldwell, Alec Huxley, Amanda Banker, Amy Mastrine, Ania Tomicka, Anne Angelshaug, Aunia Kahn, Brianna Angelakis, Carly Janine Mazur, Catherine Moore, Chris Leib, Christina Ridgeway, Daniel J Valadez, David Natale, Glenn Arthur, Hanna Jaeun, Hikari Shimoda, Jacyln Alderete, Jessica Dalva, Joshua Coffy, Julie Filipenko, Kathrin Longhurst, Lee Harvey Roswell, Leegan Koo (below, left center), Leilani Bustamante, Luke Allsbrook, Marcos LaFarga, Marie Larkin, Marjolein Caljouw, Mark Bryan (below, left), Meredith Marsone, Michael Cuffe, Nathalia Suellen, Nick Stathopoulos, Olga Esther (below, right), Rachael Bridge, Rachel Silva, Raúl Guerra, Rene Cuvos, Rich Pellegrino, Richard Ahnert, Richard J Oliver, Robert Bowen, Sarah McCloskey, Sheri DeBow, Simona Candini, Stephanie Law, Steve Javiel, Susannah Martin, Susanne Apgar, Sybiline (below, right center), and Zelyss.